Use to swtich between battery banks. Just require 1 solenoid and 1 switch. When you turn the switch on it will switch from bank 1 to bank 2. Much simpler solution than using 2 relays. 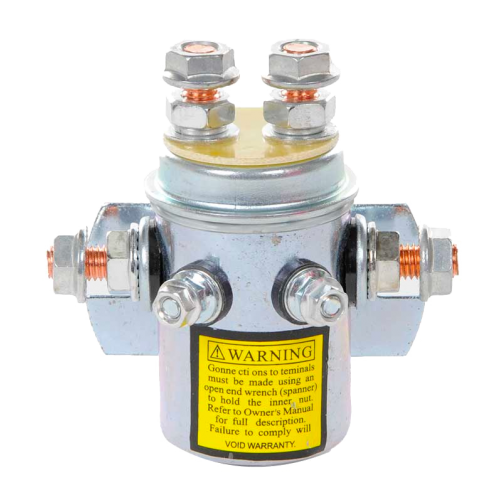 Heavy duty solenoid. 1 pair normally open, 1 pair normally closed, which reverse when activated.